Thanksgiving is celebrated with feasts and football games and the start of the Christmas shopping season, Thanksgiving means roasted turkey, cranberry sauce, pumpkin pie, and green bean casserole with Campbells mushroom soup. No matter how you celebrate this momentous day, at the orthodontic office of Lisa P. Howard DDS MS, we want you to know we are thankful for all our wonderful patients we treat throughout the year. We wouldn’t be here without you! To commemorate this traditional holiday, we would like to share some fun trivia we thought you would enjoy! Feel free to add some fun facts of your own in the comment area. 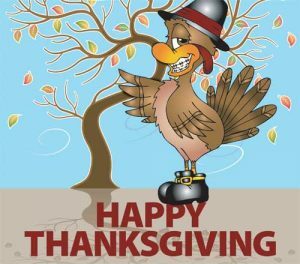 All of us here at orthodontic office of Lisa P. Howard DDS MS hope you and your family have a very HAPPY THANKSGIVING this holiday season. We thank all of our patients and their families for giving us the opportunity to serve you.